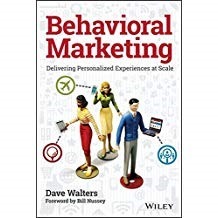 Here I branch out into completely new territory with Behavioural Marketing by Dave Walters. I wanted to learn more about other areas of endeavour outside of data science, and I sit between the marketing services department and the internal marketing department at work. So here I am. It turns out that actually I haven’t travelled so far, data is at the core of behavioural marketing. It is clear from how Walters writes, in 2015, that this concept has not penetrated to the heart of marketing which traditionally has been a more “creative” industry where crafting that perfect message has been the core of the job, rather than ensuring the perfect message is sent to the right potential customer. Behavioural marketing is marketing that is responsive to the behaviour of the customer, so for example marketers might set up a set of emails that are triggered when you visit a website or put things in your shopping basket but then navigate away before buying (the so-called “abandoned cart”). The first such email might simply be a reminder that you had left items unbought, the second might ask if you have any questions and the third might be an offer of reduced price. 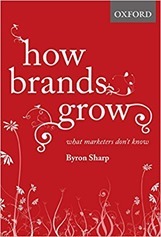 The book is divided into three parts which broadly cover an introduction to behavioural marketing, implementing behavioural marketing in an organisation and advanced topics (how to become immensely rich and successful as a behavioural marketer and what the very best behavioural marketing brands are doing). These two quotes capture the core message of the book, the job is to measure what your prospects are doing (automatically) and then send them customised messages. The idea here is that process is largely hands off. Behavioural marketing is based around customer journeys, Walters sees the big three here as acquisition, path to first purchase and path to repeat purchase. Much of the analysis of these journeys revolves around the behaviour of a customer on your website. So web analytics is important, when a potential customer first arrives on your site you will know little about them but you can tag them with an anonymous cookie so when you do find out who they are their behaviour prior to that point can be analysed. Alongside marketing triggered by behaviour (visiting a webpage, abandoning a shopping cart) there is content triggered by segmentation. Segments of users may be something like “repeat purchasers”, “deep considered”, “raving fans” and “disinterested recipients”. They can be identified by scoring their behaviour, this scoring is achieved by attributing points to different actions and then thresholding based on point scores, or alternatively using actions to determine segments. I.e. someone making 10 purchases a year may be considered a repeat purchaser. Someone making 10 purchases a year, immediately after a product is launched and talking about it on social media may be considered a “raving fan”. Another division is by channel, it is fair to say the key channel in all of this is email in terms of ability to act. Walters lists the channels as email, direct mail, sales (outbound telephone calling), call centre (inbound calling), social media, and mobile applications. Mobile applications are relevant here because they can do custom notifications and support messaging which is opted-in at time of installation. Walters sees the arrival of GPS on mobile devices as game changing, now marketing can be very location aware, with the importance of wearables growing in the future. I quite liked the random facts scattered through the book, call centre calls average cost is $7.50, expect 20% attrition on a mailing list per annum, you need to do 30 hours per month per channel on social media to make it worth while, expect to see one marketer for every five to eight sales people in a mature organisation. 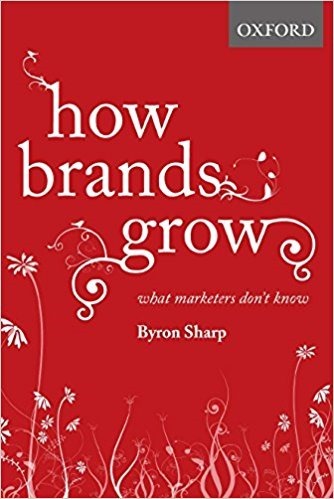 Unlike the scientific, technology and historical books I read this book has fairly direct instructions on how to execute your new behavioural marketing strategy in a real business. The closest in approach is Data science for business by Provost and Fawcett. This book is pretty readable, although I found the style a bit grating in places. I felt it gave me a good overview of behavioural marketing. I know what it is now, and I’m pretty clear of what my key activities would be in making it work in an organisation. It probably means I’m going to pester my marketing colleagues now.